The clue’s in the title for this one. To classify any release as a cult classic, is a bold statement itself; let alone when a band declares that their debut EP, will be titled as such. Arrogance would be the first title to run to the minds of the pessimistic snobs of ‘cult’ music, when simply observing Cult Classic, instead of actually giving it a play. But that’s what the phrase, “don’t judge a book by its cover” has been waiting for. The Rhode Island quartet left quite some time between the release of Wild Things, and now finally, Cult Classic. 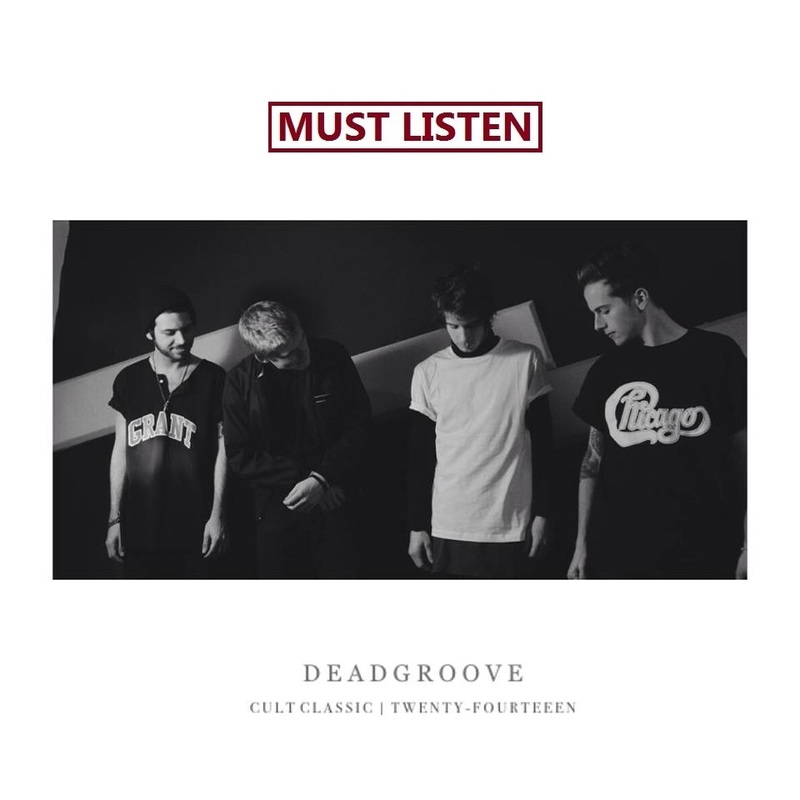 The obvious relation to The Neighbourhood is unavoidable (sadly), with their alternative, hip-rock style adopted, although Deadgroove’s style contemplates heavier construction, in both guitar and vocal presentations. Cult Classic’s 21 minute plus run, begins with the band’s second released track, The World. Tongue n Cheek, quick breaths, anchor the tenacity of the brightly coloured, lyrical, splatter paint, that creates the final masterpiece, of The World’s, Fight Club inspired lyrics. Money money money, money, that’s what the world runs on sonny//The leader’s a deceiver. The post capitalism beliefs on The World, run as periodically on the rest of Cult Classic, with further attacks on modern America, as the self proclamation of “I am a God and so is Yeezus”, unites the Rhode Island crew with the Chicagoan Kanye West, in a shared belief that their words, speak more truth than those with power. Once the assault on America from The World ends, hip hop themed bass tones sink in, as ambient toning, panels together with the growing beat of the drum and tricked out guitars, to welcome 90’s Breed. Quick fired lyrics create a centrepiece for the instrumentation as rising guitar tones lay low underneath Cody’s, sharp edged intolerance of everything. The stand out on Cult Classic, comes from the EP’s closer, The Chains, the most aggressive track by a good few miles. Heavy rock guitar chords bellow in harmony, with nearly unidentifiable, bass playing, completed by Cody’s cut throat lyrics. producing one of the most malicious tracks you’ll hear on a hip-hop record, that doesn’t involve any obvious put downs or sexual references. And using their first real release, to express themselves as a post modern thinking unit, is the smartest move they could have made, because no one wants another Neighbourhood, or a crappy rock-hop group. Being in the underground stage of a band, and presenting a string of six tracks, which all equal and best each other at the time, with dark, intense, thought inducing atmospherics, is an act that only seems plausible by undiscovered acts these days. The entire EP is available for free on their bandcamp, but for such a magnificent creation, it only seems fair to give a little as well. 10 /Best EP of the year.